Sleeptronic® has paired old world craftsmanship with beautiful design and innovative comfort materials to win the hearts and minds... and backs.. of hundreds of thousands of consumers who simply won't settle for less than the best. The Dream Dynamics ® collection of single-sided mattresses offers unsurpassed luxury and comfort, coupled with the highest quality components, to provide our customers with investment-grade mattresses. 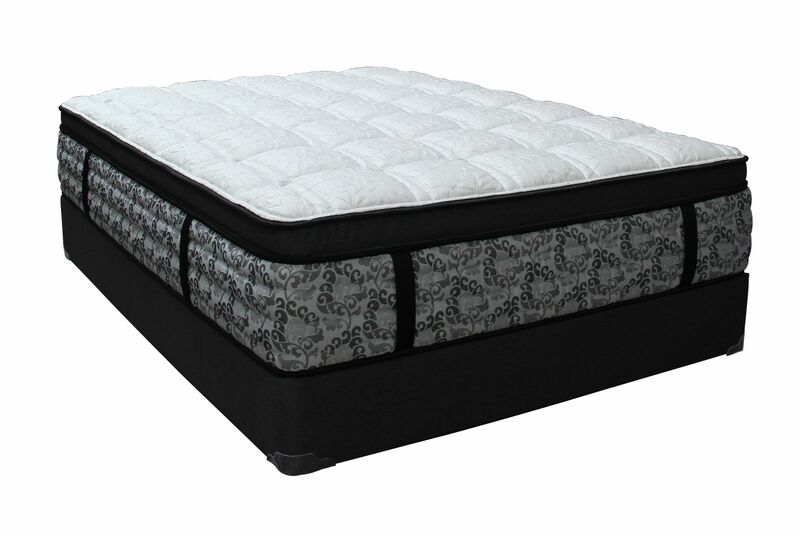 If you are looking to purchase a mattress that will be both comfortable and supportive for years and years to come, then consider a set from the Dream Dynamics ® collection! Do you wake up frequently in the night when your partner turns over, or moves in and out of the bed? The Dream Dynamics ® collection is comprised exclusively of mattresses that feature fabric-encapsulated coils. This focuses on reducing motion transfer, which helps assure a great night’s sleep by minimizing or eliminating partner disturbance. One of our largest collections, Dream Dynamics ® encompasses both classic single-sided construction and the latest innovation of true Hybrid Construction. Consumers who choose a hybrid model will benefit from the optimum in pressure relief and cooling comfort provided by close contact with a range of specialty support foam layers. In addition to the pressure-relieving properties of fabric encapsulated coils, many models feature specialty foam comfort layers including gel-infused viscoelastic foam and gel-infused latex. These provide additional luxurious support and pressure relief. The use of convoluted "egg crate" foams in plush and pillow top models provide additional pressure relief, and cradle the sleeper's body. Gel-infused quilting foam in some models bring the cooling power of gel comfort layers to immediately beneath the outer fabric of the mattress. With more available product features than any other Sleeptronic® product line, The Dream Dynamics® collection represents the pinnacle of luxurious comfort and dependable support.